How to Find a Job Fast! This Video is 4 mins. 43 Secs. Feel Free to Send This Link to Your Friends. Let's Help as Many People as We Can! This recession is a real bugger and a lot of people are looking for jobs. These free video tips are going to help you find jobs faster and easier than you thought possible. I've been helping people find jobs and get promoted for years now, and one thing is certain...it's hard to find work right now and especially if you want a really good / high-paying job. The "rule of thumb" is that it usually takes 1 month of job searching for every $10,000.00 of income you want to earn. So, a $50,000.00 a year job will "generally" take about 5 months to find. That's just way too long for most people to go without an income...myself included! Finding a job fast is the name of the game when you are unemployed, or under-employed. These free tips on finding a job fast are completely free, and I know they can spark some thoughts in you as you watch the videos. And other strange and creative strategies. It's actually a good thing to be a little different and creative when you are looking for a job. You really have to stand-out from the crowd somehow, and these free tips to finding a job fast will definitely help you do that! Sure, I sell a book about winning the job promotions you deserve...but it really isn't all that appealing to someone who doesn't have a job at all. It's my hope that if I help you find a job quickly, that you might also want to come check out and download my book on getting the promotions you deserve as well. Hey, I really hope you are able to find a job fast and live your dreams. If you find these videos helpful please comment on the blog or feel free to ask questions if you need some help. I'll do all I can to be useful to you. 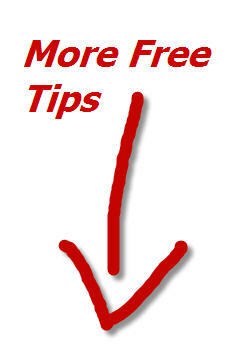 Enter Your Name and Email Below for Instant Access to More Free Video Tips on How to Find a Job Fast!